Human rights researchers say the 1988 Iraqi military operations known as al-Anfal (the Spoils) was part of a campaign of genocide by the central government in Baghdad against the mainly Kurdish population of northern Iraq. They coincided with the last throes of the Iran-Iraq war and were commanded by Saddam Hussein's cousin Ali Hassan al-Majid in his capacity as head of the Northern Bureau of the ruling Baath party. 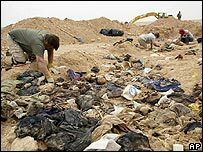 Using documents obtained after the first Gulf War, when Kurdish forces took control of former Anfal areas, Human Rights Watch estimated up to 100,000 people perished in a systematic ethnic cleansing programme. Following Mr Majid's appointment in 1987, the government - portraying it as a counterinsurgency against Kurdish guerrillas - declared specific areas "prohibited zones". Those Kurdish residents who did not flee to rebel-held territory in the mountains suffered various fates. Some were shipped off to miserable new settlements further south, with few provisions or opportunities to make a living, and forbidden, under threat of death, to return to their homes. Many starved within a year or only survived through clandestine help from nearby townspeople. Other non-combatants were imprisoned, where huge numbers died from appalling neglect. And many men of militant age were simply executed and buried in mass graves. In the context of the campaign, Iraq became the first government to use chemical weapons against its own people. It dropped mustard gas and sarin on rebel areas, with heavy loss of civilian life, as early as April 1987 - according to Human Rights Watch. The worst incident - which did not technically come under the Anfal operations - was in Halabja, where 5,000 civilian inhabitants are thought to have died in an aerial bombardment of mustard gas and nerve agents (sarin, tabun and VX). The military campaign proper began on 23 February 1988 - when the Iraqi army began its sweep through the "prohibited areas" - the first attack on (now Iraqi President) Jalal Talabani's Patriotic Union of Kurdistan headquarters at Sergalou-Bergalou. Halabja was hit on 16-17 March 1988 after it was captured by Kurdish fighters supported by Iran Revolutionary Guards attempting to open up a second front to relieve the siege of Sergalou-Bergalou. In all nine Anfals were conducted, ending on 26 August. On 6 September the government declared a general "amnesty" for Kurds, although many continued to be held - and die - in the camps and prisons. Human Rights Watch says 2,000 villages were destroyed, as well as dozens of towns and administrative centres, including Qala Dizeh which had had 70,000 residents. The group says a charge of genocide - defined as the intent to destroy an ethnic group in part or in whole - is justified in the case of the Anfal operations, which it says far transcended legitimate counterinsurgency. The reasons it gives include the murder and disappearance of tens of thousands of non-combatants selected on the basis of their ethnic-national identity. It also cites the use of chemical and nerve agents against civilians; the near- total destruction of Kurdish assets and infrastructure; and the abandonment of large numbers of vulnerable people. 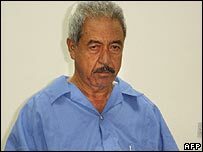 Mr Majid and two other former top Baath officials were sentenced to death for their part in the campaign on 24 June 2007, nearly six months after Saddam's execution for other crimes. Two other officials received life sentences.